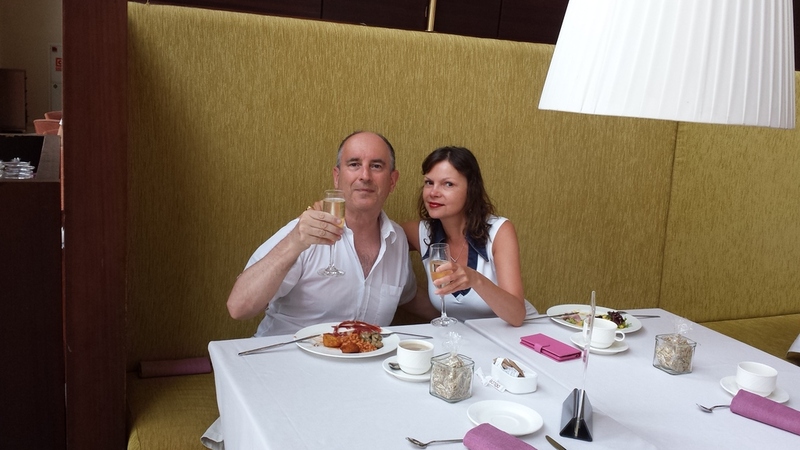 We got up, admired the sea views from our balcony and went for our Champagne breakfast downstairs. The staff are nice, friendly and also very helpful. They were quite happy to give us large towels to take to the beach. 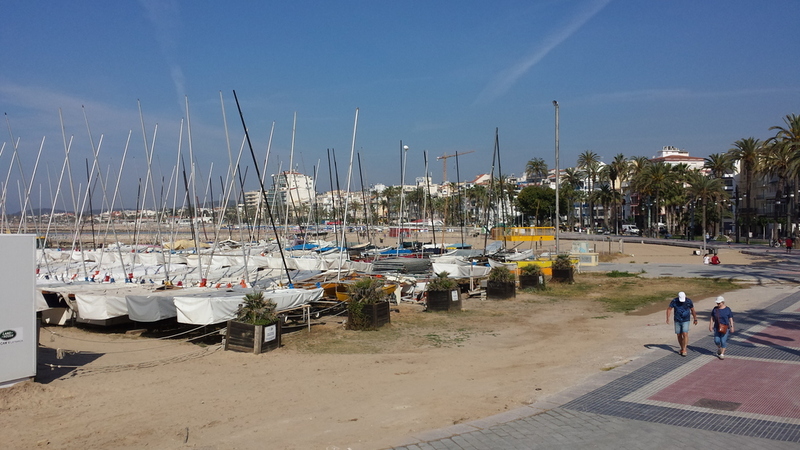 After that we decided to explore Sitges. There is a bus stop outside the hotel which gives you the expected time of the next bus. The display just said "Calculendo ..." (Calculating ...) so we grabbed one of the many taxis waiting outside the hotel. Sitges is about three miles away so the taxi fare is about 9EUR. 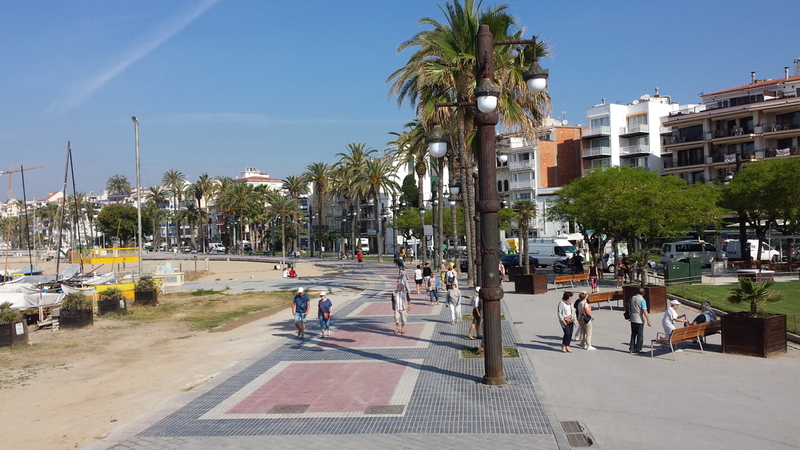 Sitges is a lovely Spanish seaside town, with lots of restaurants, shops and history. We spent 4 hours on the beach. After that we decided that my 20+ year old swimming trunks needed an upgrade, so we went shopping. Beata in the Mediterranean sea. We explored some lovely buildings, bought some new Italian-designed swimming trunks and then went to a lovely restaurant called Sitges "Bon Estar"